Hindi version of "Baahubali the Beginning" has become the first south Indian dubbed film to enter Rs 100 Crore movie club. The Hindi version of S S Rajamouli's "Baahubali the Beginning" (Bahubali) has created a history by crossing the Rs 100 Crore mark at the Indian box office in 24 days. Along with its Telugu, Tamil and Malayalam versions, the Hindi version was released in around 1,600 screens across the country on 10 July. It received a wonderful response and garnered positive reviews from the Hindi audience. The film raked in Rs 46.77 crore nett at the Indian box office in the first week. In its second week, the Hindi version clashed with Salman Khan's much-awaited "Bajrangi Bhaijaan", which hit the screens on 17 July. But the period drama remained least affected by the Sallu mania. In the second week, the movie collected Rs 26.38 crore nett at the domestic box office, taking its 14-day total to Rs 73.15 crore nett. Since there was not big-ticket release in Bollywood, the Hindi version of "Baahubali the Beginning" once again kept the bells ringing at the box office. In the third week, the movie added Rs 22.61 crore to its 21-day domestic total of Rs 95.76 crore. It smashed the lifetime records of Akshay Kumar's "Baby", "Gabbar is Back", Amitabh-Deepika's "Piku" and Anil-Priyanka-Ranveer's "Dil Dhadakne Do". The Hindi version of "Baahubali the Beginning" needed Rs 4.24 crore to surpass the mark of Rs 100 crore. In its fourth week, the movie clashed with another big-ticket film "Drishyam" starring Ajay Devgn. Having maintained rock-steady, the film collected Rs 7.7 crore on Friday, taking its 24-day total collection beyond Rs 103.51 crore nett. #Baahubali [dubbed Hindi version] has set a new BENCHMARK [Week 4] Fri 1.60 cr, Sat 2.70 cr, Sun 3.40 cr. Total: ₹ 103.51 cr. ATBB. Hundreds of Bollywood movies were released in theatres in the last seven months, but only three films like "Bajrangi Bhaijaan", "Tanu Weds Manu Returns" and "ABCD 2" were able to join the club of Rs 100 crore movies in 2015. 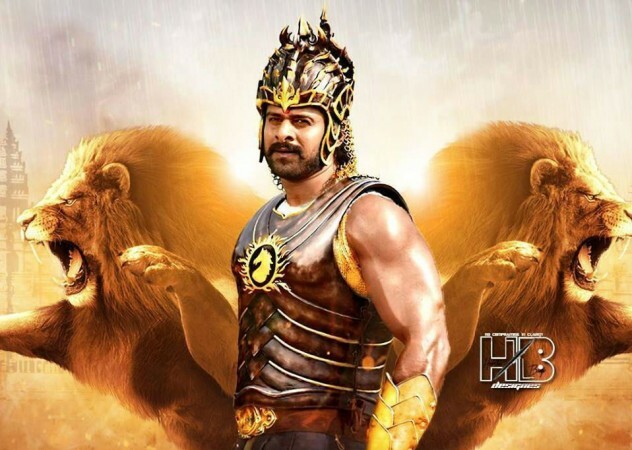 The dubbed "Baahubali the Beginning" has become the fourth film to enter this club. Though many south Indian movies including Rajinikanth's "Endhiran" and "Lingaa", Kamal Haasan's "Vishwaroopam" and Shankar-Vikram's "I" were dubbed in Hindi and released along with their original version, none of them were able to cross even the mark of Rs 50 crore. "Baahubali the Beginning" has thus become the first Southern movie to achieve the rare feat, which is a landmark in the history of the Indian cinema.